Best Sound Mixing Oscar Awarded To . 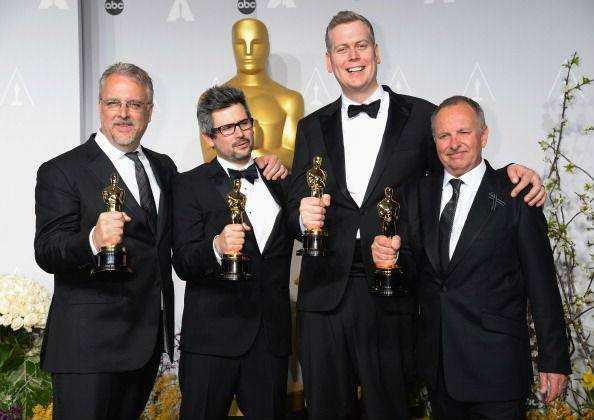 . .
Congratulations to the Academy Award Winning Re-Recording Mix team of Skip Lievsay, Niv Adiri, and Christopher Benstead with Location Mixer, Chris Munro for the recognition of their work on Alfonso Cuaron’s “Gravity” from Warner Bros. Pictures. The film was mixed at Warner Bros. De Lane Lea and in Dolby ATMOS at Warner Bros. Sound Burbank. Congratulations as well to Glenn Freemantle and his Sound Editorial team for their Oscar recognizing Best Sound Editing for “Gravity”.